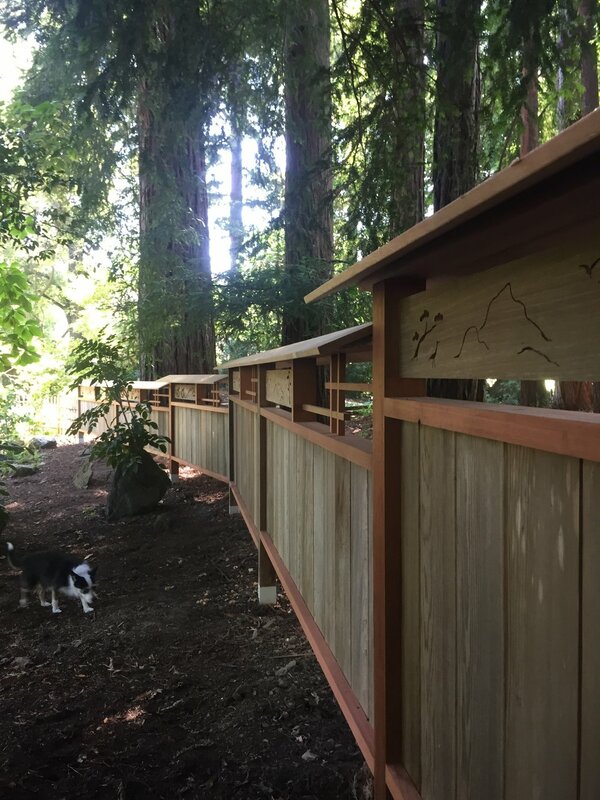 Carefully selected old-growth redwood timbers were used to replace the rotten posts and rails on this Japanese fence rebuild in the South Bay. The new fence follows the same meandering course and gradual descent of the old one, but displays more robust building techniques. The posts are supported by metal braces and are removed from ground moisture by cement pedestals, each individually cast in-place for a seamless connection. Vertical grain cedar roof boards protect decorative artistic panels and designs in the upper portion of the fence. A beautiful gateway and unique redwood "window" in the fence encourage interaction.